Satyagraha Foundation » Blog Archive » Blues for Martin Luther King, Jr.
Blues for Martin Luther King, Jr.
Posted on 7 January 2015 under Civil Rights & Martin Luther King, Jr., History. In those doom-struck and despairing weeks following King’s death, the nation itself was overcome by the blues, so it was symbolically fitting that the pre-eminent blues band in the land would play for the activists camped out in the nation’s capital. Lord I’m troubled, I’m all worried in mind. And I’m never being satisfied, and I just can’t keep from crying. The very first time Muddy Waters was ever recorded in 1941, he sang those words on a song that can be heard on “The Complete Plantation Recordings.” Now, 27 years later, in 1968, those lyrics seemed to be a haunting description of the grief in the souls of countless people who were left badly shaken by the murder of Martin Luther King, and the recent assassinations of so many others who had given their lives for peace and justice. Just as Muddy Waters sang, their hearts were “troubled” and they were “all worried in mind” by the loss of Martin Luther King. 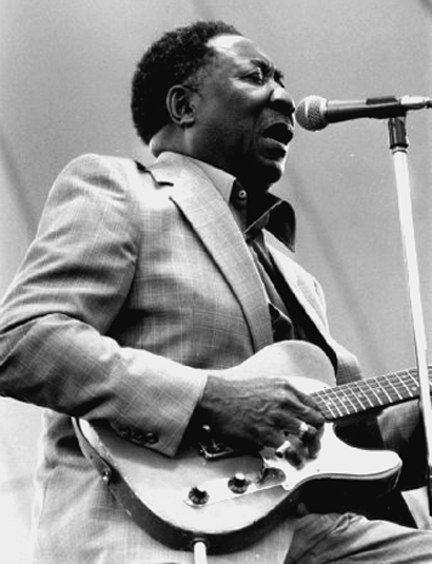 Many felt it might prove to be a fatal blow to the Freedom Movement, yet as they listened to Muddy Waters sing at Resurrection City, the blues once again were a lifeline. And who better to play the blues for the poverty rights activists living in the D.C. shantytown than Muddy Waters, one of the most influential masters in the history of the blues, and a man of the people who had known poverty while growing up in a shack himself. When the Poor People’s Campaign finally arrived in the nation’s capital to confront the legislators who had allowed tens of millions of American citizens to languish in poverty, they were besieged by unrelenting rainstorms that transformed Resurrection City into Mud City. The demonstrators stood their ground through the rest of May and the first weeks of June, but even as they tried to pick up the pieces and renew their commitment in the broken-hearted days after Rev. King’s murder, Robert Kennedy was assassinated in Los Angeles on June 5, a demoralizing and nearly unendurable death, especially since Kennedy was one of the originators of the idea of a Poor People’s Campaign. When we consider everything that the blues and gospel music has ever meant to people facing seemingly hopeless tragedies, this is an image that sings to us through the ages — poor people living in shacks at the foot of the Lincoln Memorial singing “The Battle Hymn of the Republic” to Robert Kennedy. It somehow seems to me the very essence of both the blues and gospel music. Even though the entire nation seemed to have turned its back on the suffering of the poor people living in shacks and tents at the foot of the Lincoln Memorial, Sen. Robert Kennedy had not forgotten them. It seems profoundly symbolic that, when his funeral procession passed by the shantytown, Robert Kennedy became one of the only high-ranking political officials in the entire nation to visit Resurrection City. In life, he had been a friend to the poor people living there. Even in death, he was one of their most-loved visitors. How many historical echoes were raised that day when the residents of Resurrection City sang “The Battle Hymn of the Republic” as a light rain fell. On one level, it was simply an unbearably sad farewell to a man who had fought the good fight against the Vietnam War and poverty. Yet it awakened so many deeper historical memories. Before Julia Ward Howe wrote the lyrics that became “The Battle Hymn of the Republic,” the song originally was known as “John Brown’s Body” and was sung in tribute to the firebrand abolitionist who gave his life in the battle to abolish slavery. When Howe wrote a new set of lyrics, it became an anthem for the North in the Civil War. The song’s lyrics “He is trampling out the vintage where the grapes of wrath are stored,” would later give the title to John Steinbeck’s masterful novel about Dust Bowl poverty, The Grapes of Wrath. How fitting that it should now be sung at the foot of the Lincoln Memorial during the Poor People’s Campaign. In December 1963, shortly after the assassination of President John F. Kennedy, Judy Garland sang a stunningly powerful version of the song on her television show in honor of JFK. The network had tried to censor her from speaking out, or even mentioning Kennedy’s assassination, yet Garland sang one of the most haunting versions of the Battle Hymn ever performed as a tribute to a man who had been her admired friend. Garland put it all on the line, and delivered one of the most soulful and overpowering vocal performances of all time. And to bring the song full circle, Martin Luther King, Jr. himself had quoted “The Battle Hymn of the Republic” in his sermons and public speeches. When the Selma to Montgomery March reached the Alabama State capitol in Montgomery on March 25, 1965, during the struggle for the Voting Rights Act, Rev. King quoted its lyrics in his “How Long, Not Long” speech. Most poignantly, Rev. 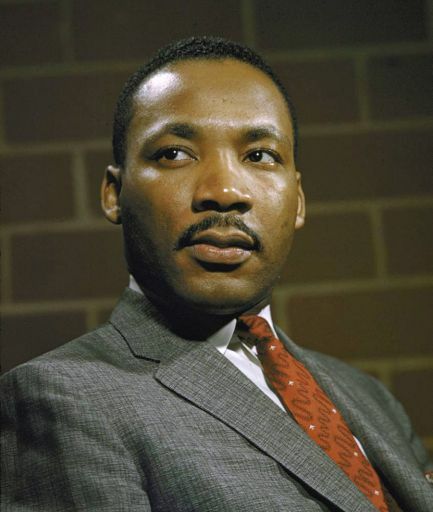 King quoted the Battle Hymn in his final sermon, “I’ve Been to the Mountaintop,” delivered on April 3, 1968, on the night before his murder in Memphis. Dr. King’s last words in his last sermon were the lyrics of the song that had such powerful significance for his ministry: “Mine eyes have seen the glory of the coming of the Lord.” The next day, his voice was silenced. King had quoted those song lyrics on April 3. Now, on June 8, only two months later, Rev. Martin Luther King was dead. Sen. Robert Kennedy was dead. And now the words of “The Battle Hymn of the Republic” resounded from the foot of the Lincoln Memorial, sung by the members of the Poor People’s Campaign during Kennedy’s funeral procession, even as Resurrection City itself was in its last days, and would soon be dismantled, while its residents faced mass arrests and eviction. King and Kennedy, two of the nation’s most prominent champions of poor people — and two of its most outspoken antiwar voices — had been silenced. “Crucifixion,” an eloquent song by protest singer Phil Ochs, poetically described the age-old assassination of prophets, who were almost predestined for crucifixion because, as Ochs sang, they were “chosen for a challenge that is hopelessly hard.” The road ahead to peace and justice in America now indeed seemed hopelessly hard — and endlessly tragic. A few days later came the final chapter of Resurrection City. The activists who had kept their faith and hope alive for so many long years, even in the face of tragic assassinations and countless police assaults on the movement, were tear-gassed by their own country’s troops and, on June 24, subjected to mass arrests and evictions by the police and the National Guard. Son House had labored on southern plantations, preached in Baptist churches, and served hard time in Mississippi’s notorious Parchman Farm penitentiary. House’s impassioned blues were “created in the infernal laboratory that was segregated, Depression-stricken Mississippi,” and “embody the alienation and isolation of the modern condition, whatever the listener’s cultural background,” as Tony Russell and Chris Smith wrote in The Penguin Guide to Blues Recordings. House sings with unbelievable fervor and his intense, raw-edged slide guitar is the perfect accompaniment to his harsh, raging vocals. Folklorist Alan Lomax and musicologist John Work followed that wind through Mississippi in 1941, and made some deeply valuable recordings of Son House for the Library of Congress. House then told Lomax about Muddy Waters, and Lomax traveled to Clarksdale to make the first recordings of Waters at the Stovall Plantation in 1941 and 1942. When Muddy first heard his voice on those recordings, he finally realized that he truly was a blues singer. I don’t believe you’re gonna do nothing at all. In outraged response to the shooting, thousands of civil rights activists came to Mississippi to carry on the spirit of Meredith’s march, and Meredith himself recovered from the shooting and was able to rejoin the march as 15,000 demonstrators entered Jackson on June 26. During the March Against Fear, an elderly marcher, Armistead Phipps, died of a heart attack, and King traveled to Marks to preach at his funeral. Big Maybelle drew on both dimensions of her vocal talent to record an extraordinarily moving elegy, “Heaven Will Welcome You, Dr. King.” (Her song can be heard on the CD compilation, “Big Maybelle: The Rojac Years.” TM) Although she roars through this hard-rocking lament with unbelievable passion, she also demonstrates how a powerful voice under perfect emotional control can be sensitive enough to express the sadness and grief in the hearts of many. Maybelle’s singing is so strong that it rocks the foundations of the world — just as King’s death rocked a nation to its core. Yet, at the same time, she sings as tenderly as a mother who has lost her child. It just don’t seem real, that’s all I can say. I can’t believe Dr. King has passed away. The whole world! The whole world is going to miss you! This is true! And I know heaven, heaven is going to welcome you. So don’t worry, never feel blue. Dr. King, I know heaven, heaven is going to welcome you. You served God’s purpose and now you’re gone. Those of us who are lucky, Lord, will see you again one day. She shouts out the word “heaven” with all the vocal fury and passion of great Mississippi blues singers like Son House and Howlin’ Wolf. Her voice is full of despair and heartache and loss, an emotionally expressive outcry that only the greatest blues shouters could match. Yet, in that same voice — a voice with all the soul-fire that the best blues singers ever possessed — she also reaffirms all the love and faith in God expressed in the great gospel songs. 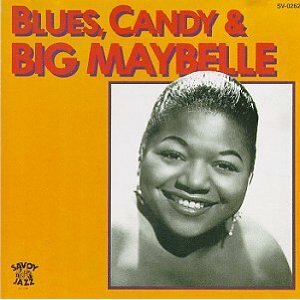 Big Maybelle, one of the most powerful blues shouters of all time, was transformed, for the duration of this awe-inspiring song, into a pastor, a caregiver for the nation’s soul. Her spirit rose to the occasion with a performance that is heartbroken, but still believing. She is enraged and outspoken, but still gentle and comforting. Her song is both an elegy and, at the same time, a freedom song in the best tradition of the Freedom Singers who gave so much strength to the Freedom Movement. EDITOR’S NOTE: Terry Messman is the editor and designer of Street Spirit, a street newspaper published by the American Friends Service Committee and sold by homeless vendors in Berkeley, Oakland, and Santa Cruz, California; he is also editor of the website with the same name. Please consult his author’s page for an index of other of his articles posted here, and for further information, by clicking on this link, or on his byline at the top of this article.